I am happy to place this small volume of a brief summary of the teachings of Upanisads in the hands of the interested readers. There is a good deal of literature In English on Upanisads. This literature mostly represents either the interpretation of Advaita tradition or modern philological approach. Both these ignore the theistic aspect of Upanisadic teachings. Upanisadic teachings have three important aspects viz., Philosophical, Mystical and Theistic. These should not be separated. One is meaningful only if the other two aspects are taken into account. The approach of the Upanisadic seers is not merely speculative or logical but it is intrusive and experience oriented. The Upanisadic seers do not aim at constructing a philosophy by speculation or arguments. But they aim at explaining their intutive experience. Its intelligible analysis, and the formulation of a philosophical conduct based on it are the objectives of the Upanisadic seers. Anubhava, Vichra and Achara are the three layers of Upanisadic teachings. 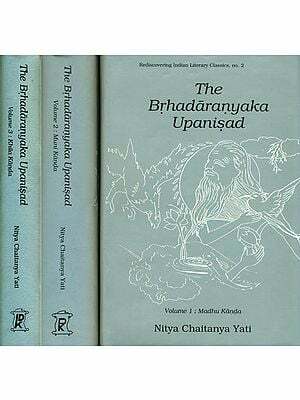 Brahmasutras lay down the necessary guidelines for the interpretation of Upanisads on this basis and evolve a systamatic philosophy of Upanisads. The central principal of Upanisadic teachings is Brahman. 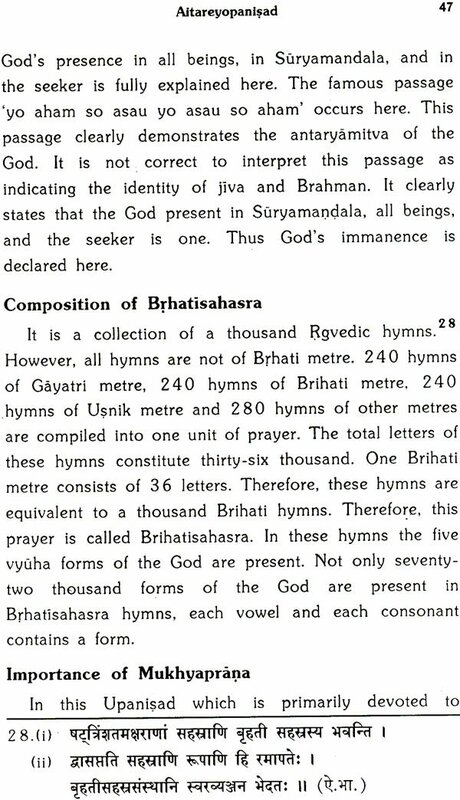 A detailed enquiry into the nature of Brahman as explained in Upanisads is undertaken in Brahmasutras. This enquiry has resulted in the formulation of a three dimension concept of Brahman is the cause of all. He is an independent and perfect being. Ethically, He is the regulator of all and the director of all. Theistically, He is the goal of spiritual attainment. 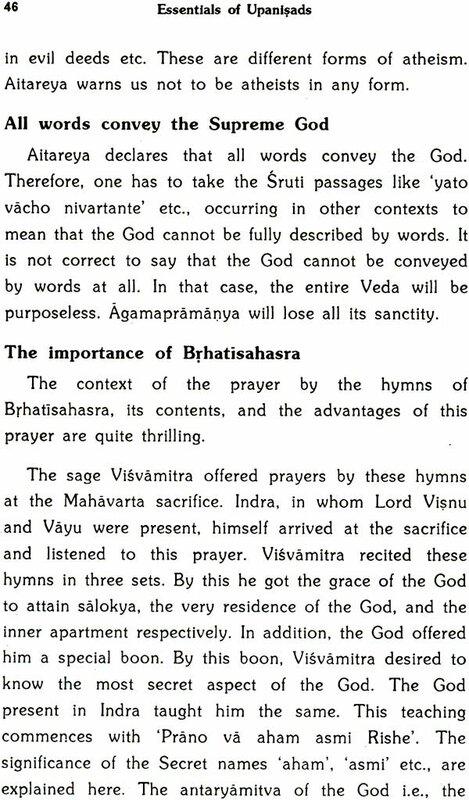 These three aspects of the concept of Brahman are beautifully brought out in Svetasvatara Upanisad. 1. What is the source of this Universe? Is it Brahman? 2. Whence are we born? 3. By what we are sustained? 4. What is our ultimate goal? 5. Guided by whom we undergo the experience of joy and sorrow? 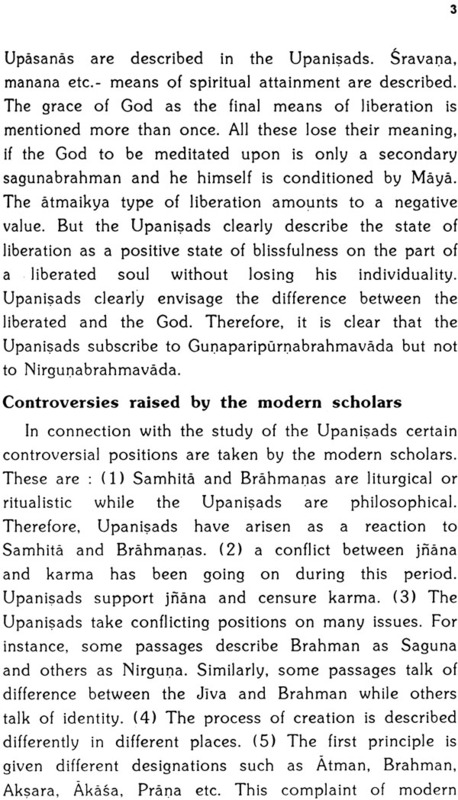 Raising these questions the Upanisad proceeds to narrate different views held by metaphysicians in ancient India. The time, the inherent of the things, the orderliness of Nature, the chance, the elements, Prthvi etc., the person, all these claim to be considered as the cause. A combination of these is another alternative. But the Atman I.e. Jiva is there. The Atman i.e., Jiva cannot be the master of his own affairs, since It is he who undergoes the experience of pain and pleasure. The Seers went into meditation and discovered the great power of the God. They discovered that the God Is the Superintendent of all. From this it is clear that the various causes envisaged by the metaphysicians go upto a point only. Ultimately, it is the God who is the cause of causes. This is exactly the approach of Dvaita Vedanta tradition of the interpretation of Upanisads. The three important aspects of the Upanisadic concepts of Brahman viz., metaphysically He is the central principle of all, ethically He is the director of all, and theistically He Is the goal of all, are fully brought out here. It is also made clear here that such a Brahman is discovered by meditation in a mystic experience but not by speculative arguments. It is intutive experience that led to the discovery of Brahman but not the arguments. A careful reading of Upanisads will reveal two points clearly viz., i) Every important discovery is made intutively by meditation. (ii) There is a central principle that is imminent as well as transcendent of Adhibhuta, Adhyatma and Adhidaiva structure of the world. 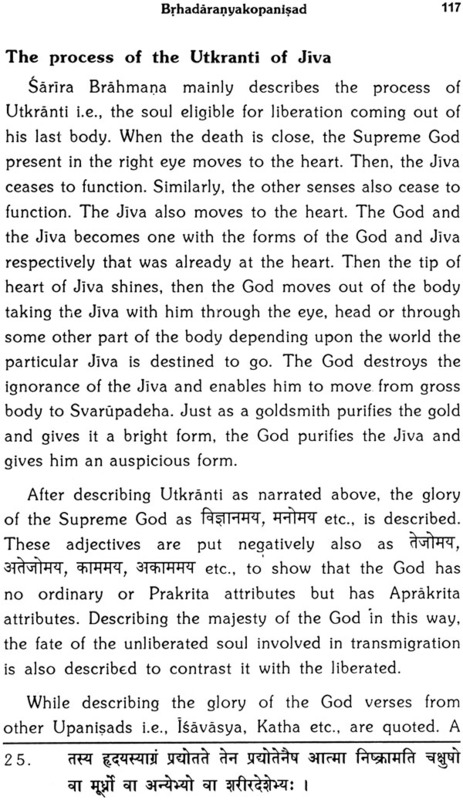 This latter i.e., the central approach may be termed as Adhivisnu i.e.. Pertaining to the Supreme God Visnu. 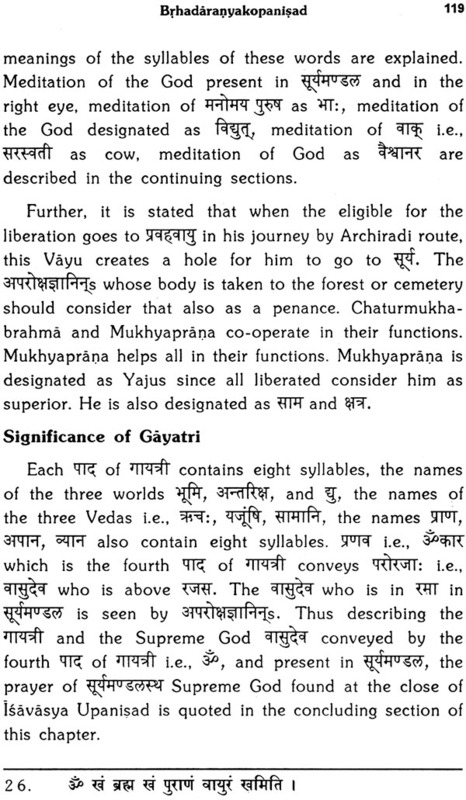 Sri Madhwacharya while interpreting Upanisads never stops at Adhibhuta, Adhyatma and Adhidaiva levels only. All the words that make a reference to one of these items are interpreted as refering to the Supreme God Visnu also. 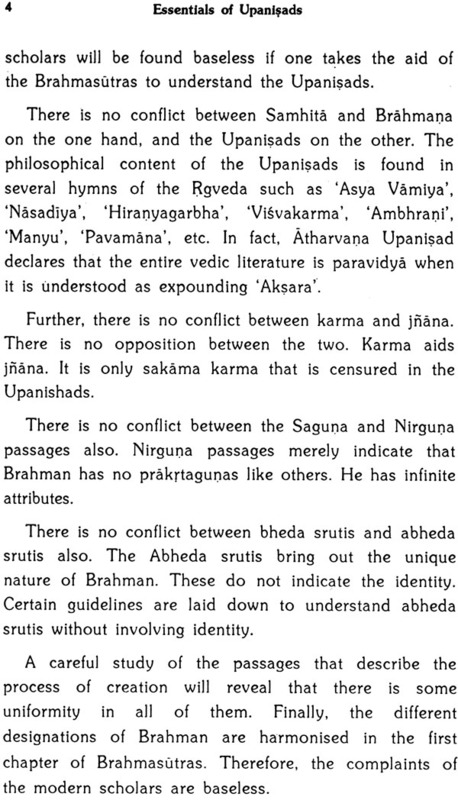 Visnu is the in depth meaning of all these words that refer to Adhibhuta etc., entitles. This gives an impression that his interpretation is overlaid with theism. Yes, it is overload but not as unnecessary addition but as a natural synthesis of Upanisadic Philosophy with an in depth layer of Upanisadic theism. Visnu here is not a Puranic deity of Indologists but a Supreme, perfect and independent being; a Central metaphysical principle which is also central ethical and theistic principle. All other entities of the Universe owe their very existence, functioning, and comprehension to this very central principle. It is this perfect Central being that enables all others to function. It may be noted that the mentioned as the claimants to Universe in 5vetavatara are subordinate to the Supreme God. Of Svetasvatara statement also. Modern writings on Upanisads have created an Impression that the Upanisads are non-theistic. The main argument in support of this contention is that no name of any prominent deity of Indian tradition is mentioned in the Upanisads. But the very designation Brahman is all compassing and the highest designation of the Supreme God. An impression is also created that Advaita tradition is non-theistic. But this is not acceptable to the traditional Advaitins. So far as Dvaita tradition is concerned all words are the names of the Supreme God, and the entire Veda profounds the Supremacy of the God. 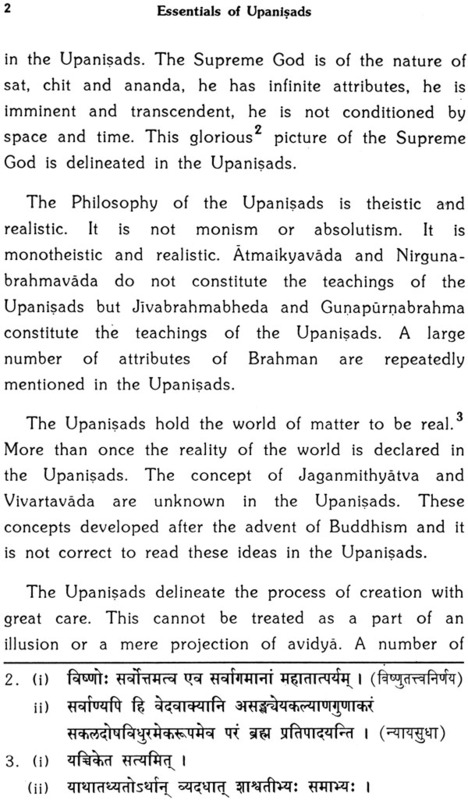 Upanisadic Philosophy is a theistic-realistic philosophy. This is fully brought out by Sri Madhwacharya in his Bhasyas on Upanisads. 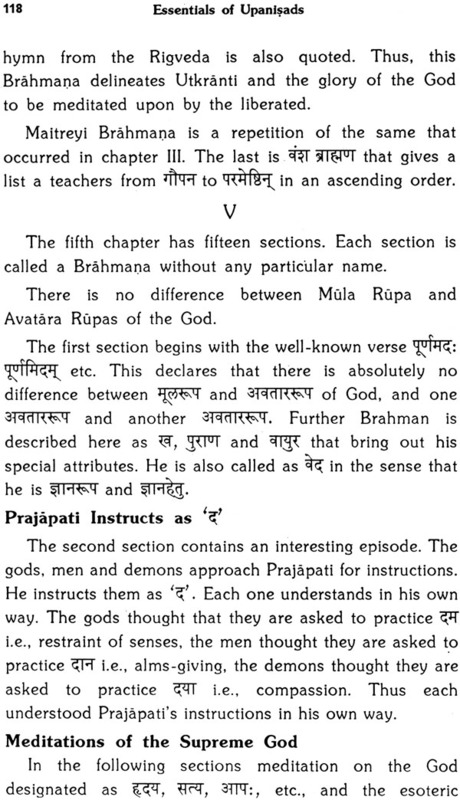 The synthesis of theism and philosophy is very much observable in Sri Madhwacharya’s interpretation, particularly, when the Vyuha forms of the Supreme God are introduced while explaining adhibhuta, adhyatma and adhidaiva forms in order to bring out Adhi Visnu or Adhi Brahma level of meaning i.e., the in depth meaning (Paramamukhyartha) of Upanisads. In a brief summary, it is difficult to bring out this in depth meaning fully. However, it is indicated wherever it is necessary. In this brief summary the following points are highlighted. i) The central teaching of each Upanisad. iii) Philosophical significance of the Metaphors, Simile and symbolic expressions. iv) Philosophical propositions introduced in the discourses, dialogues and background episodes. 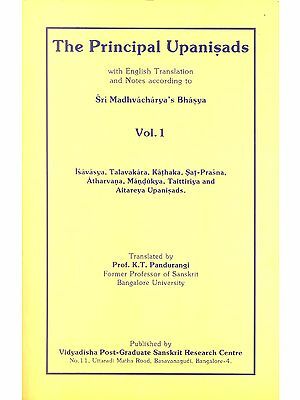 This summary was prepared as an introduction to the Kannada Sarvamula Volumes published by Pooroaprajna Vidyapeetha under the guidance and blessings of Sri Sri Visvesatirtha Swamiji of Pejawara Matha. 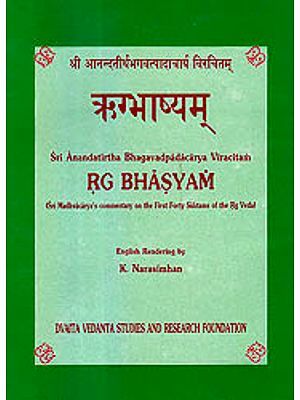 It is reprinted here for the benefit of those who do not know Kannada and therefore do not have these volumes with them. I take this opportunity to express my gratefulness to Sri Sri Pejawaraswamiji and the other authorities of Kannada Sarvamula publication.